Toptal is pleased to sponsor Google I/O Extended 2018 - La Paz, taking place on May 19th, 8:30am to 3:30pm. Organized by GDG La Paz, this event will bring together developers, designers, professionals, students, and anyone interested in using Google technologies from Bolivia and beyond. All are welcome to join, learn new things, and participate in hackathons, code labs and tech talks. 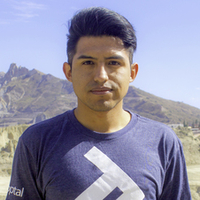 Toptal is proud to have Edwin Guzman, a Toptal developer, as one of the speakers at this event. His talk, titled Toptal-opening doors for Bolivians, takes place at 10:15am.